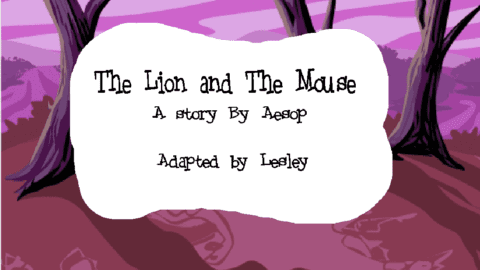 My story is adapted from the original story The Lion and The Mouse by Aesop. Overall, the story incorporates a mouse going into a lion’s cave, and that lion wanting to eat the mouse. The mouse doesn’t wish to die, so they say that they will help the lion when they need it if they let them go. 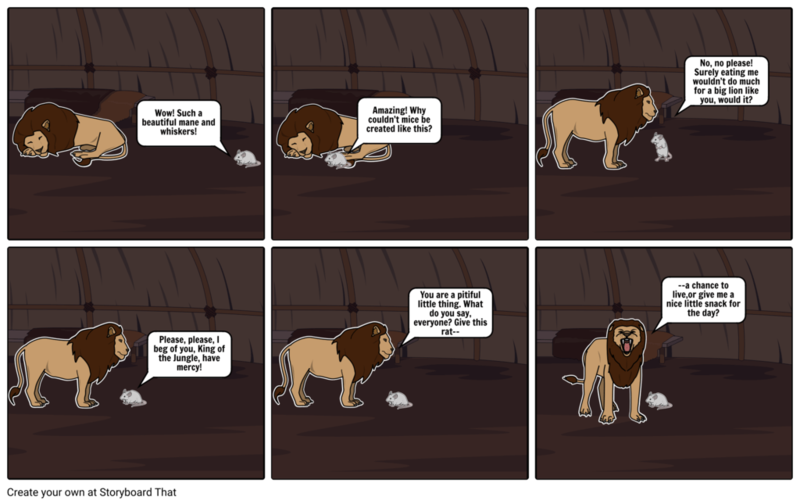 The lion laughs at this, not believing that such a small rodent could possibly help him. The lion tries to decide if they should eat the mouse or let it live. To create this project, I first wrote out my script, with the original beginning, the original outcome, and the alternate outcome. I used StoryboardThat to make my characters, backgrounds, and props for my final animation. This story was based around the idea that no one should be shamed or underestimated, as they may be able to help you in the future. The Lion and The Mouse Remixed by Lesley is licensed under a Creative Commons Attribution-ShareAlike 4.0 International License.